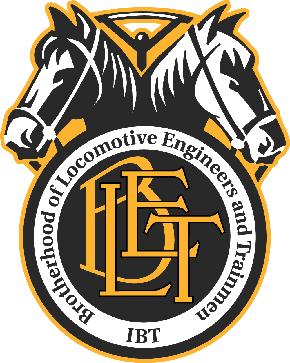 LONG BEACH, Calif., August 23 — Approximately 300 members of the Brotherhood of Locomotive Engineers and their families convened here this morning for the opening ceremonies of the BLET’s second and final regional meeting of 2016. This is the first year the BLET National Division has hosted a regional meeting. Delegates to the Third National Convention in 2014 changed the BLET’s regional meeting structure so that there are two annual regional meetings each year sponsored by the National Division. After presentation of flags by the U.S. Navy Honor Color Guard and the playing of the National Anthem, Brother Brian Farkas, Chairman of the BLET’s Indiana State Legislative Board, delivered the invocation. BLET National President Dennis R. Pierce then welcomed all members, families and guests to Long Beach. President Pierce introduced members of the BLET Advisory Board who were in attendance. He thanked National Vice President Jim Louis and Special Representative Matt Kronyak for their work in managing and organizing the regional meeting, and thanked the regional meeting arrangements committee members who provided local support: Jose L. Covarrubias, Local Chairman of Division 214 (Long Beach); Paolo Tortorice, Local Chairman of Division 5 (Los Angeles); Kent A. Richards, Local Chairman of Division 56 (West Colton, Calif.); Don W. Carroll, Local Chairman of Division 660 (Los Angeles); and Kathy and Dino Raptis, a retired member of Division 12 (Fort Wayne, Ind.). Numerous distinguished guest speakers addressed the body, including: U.S. Representative Alan Lowenthal of California’s 47th District; Ron Herrera, Teamsters Western Region International Vice President; Kathleen Bisbikis, BLET Auxiliary 2nd Vice President & National Legislative Representative; Bob Lauby, FRA Associate Administrator for Railroad Safety and Chief Safety Officer; Doug Bloch, Teamsters Joint Council 7 Political Director; and Walt Barrows, Railroad Retirement Board Labor Member. In his address, President Pierce spoke about the pride, skill and professionalism of BLET members and the important role they play in the success of the nation’s freight and passenger rail industry. Also, he said BLET members must work together to meet the difficult challenges facing the union and America’s entire middle class. “Your union has fought in the halls of Congress for things such as the Railway Labor Act, the Railroad Retirement Act, the Hours of Service Act, the Boiler Inspection Act, the Power Brake Law, the Safety Appliance Act, the Federal Railroad Safety Act and the Federal Employers’ Liability Act, all to protect our members from an industry that has literally made its profits on the backs of its employees,” President Pierce said. “I don’t share this to toot the BLET’s horn; in fact, it’s obvious from the description of today’s workplace that there remains much more work to do on behalf of our members. But I do share this capsule of our history to impress upon you the importance of supporting your union’s efforts. The very strength of our union is based upon our collective and coordinated efforts, and not upon the efforts of any one individual. As General President Jim Hoffa says, the corporations may have the money, but we have the boots on the ground. The challenge is harnessing that strength when important issues confront us, and that time is on us now. The opening ceremony also included a memorial ceremony, in which the names of all BLET members killed in the line of duty since 1989 were shown in a solemn video presentation. They were honored with a moment of silence. Today’s afternoon session will conclude with a closed meeting for BLET members and an open meeting hosted by the BLET Auxiliary. Members will take advantage of educational opportunities throughout the remainder of the week. Workshops will feature specialized training for BLET Legislative Representatives, Secretary-Treasurers and Local Chairmen. These workshops will also include an overview of the BLET’s Mobilization network. The 2016 Long Beach regional meeting will conclude with a banquet on the evening of Thursday, August 25. The BLET’s 2017 regional meetings will be held in Myrtle Beach, S.C., and San Antonio, Texas. More specific information will be made available soon. Photo highlights of the 2016 Long Beach regional meeting can be found on the National Division’s Facebook page, http://www.facebook.com/BLETNational. General Chairman (Bill Hannah) is abusing his power by somehow, putting some of the division committee officers on the general committee’s payroll, in order to ensure support during committee elections. This is a complete uncontested abuse of power that should be challenged!